My favorite and most comfortable t-shirt! 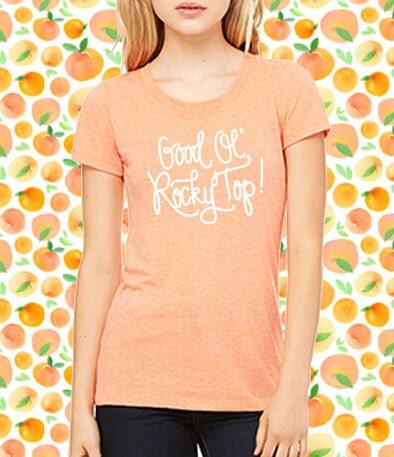 Hand-lettered "Good Ol' Rocky Top!" is printed in white on a light Orange T-shirt! S, M, L, XL available. Semirelaxed fit. This shirt is so, super soft! It isn't too fitted...just perfect!